Your product will not be unique, so how will you market it? When you consider the low margins, you will need to sell a lot to be profitable, which means your marketing efforts and skills will be critical. No-one is going to find your newly created website and a social media marketing strategy will not result in immediate rewards. It is not a get rich quick scheme. You don’t necessarily even need your own website as you can sell on other platforms such as Amazon, Ebay and Etsy (for handcrafted, vintage or unique products only). Launching straight into launching your store without considering these issues is going to a recipe for failure. If you are not using dropshipping and have your own product or service, then margins will be higher, but that brings with it a whole host of other considerations as you will have direct control over customer service. Your product may be manufactured by a third party, or you may have your own production facilities. You will need to hold inventory and you will need to deliver it to the end customer. Alternatively you may use dropshipping to complement your own products or services. First of all you need a market to sell to. That market will be a group of people who are searching for a solution to a problem, but not finding the right results. That might from online research (what are people asking for in forums? ), or maybe a chance conversation, or something you have had a problem with for which you could find no solution. In this section we look at how you set up a store in some of the more popular e-commerce platforms. The aim here is give you an overview so that you can compare the options. Each of the platforms discussed here has more details help on its own website and there are links provided in the discussion below to those pages. Wix offer a 14 day free trial. You can also create a free website, but you cannot take payments on a free site. If you want to get to market quickly with your own products or services (dropshipping is not available) then Wix is probably the platform for you. Wix ADI (Artificial Design Intelligence) will instantly build a website personalised for your business. You just have to answer some questions about who you are and what you do and you have a ready made website. You will need to add products and relevant images and connect to a payment method from a list of options. To actually accept payments online you will need to upgrade to a premium plan with a monthly fee, starting from £13 a month. Alternatively Wix Editor gives you over 500 templates to work with, or you can start with a blank slate. It’s a drag and drop customizable website builder that doesn’t require you to write in code. If you want to go a step further and do just that then Wix Code gives you the freedom to create whatever your imagination develops. You can create a store that reflects your brand, change colours and fonts, and add photos. Inventory tracking is included which enables you to only sell what you can fulfil. You can either manually update each product as it goes out of stock (simply change the status of a product from in stock to out of stock), but more likely you will use tracking. You will need to add stock in as it is purchased, but inventory will automatically reduce with each sale. You can add images or videos to your product page, create an “on sale” flag along with a discount amount (either value or percentage). There are options to add additional custom fields and product options (e.g. colours, sizes, styles etc). You can group your products into “Collections” to make it easy for customers to find what they are looking for. Filtering options can then also be added and these can be by collection, price or any product options that you create. There are different shipping options available, and you can create different rules for different regions. You can choose to charge shipping with a flat rate, by weight, by price range, offer free shipping over a certain price and set up free shipping rules. Whenever possible Wix will connect you to the most suitable payment provider in your region for the UK that will be Paypal and Stripe. The Wix Help Centre has more information and advice on how to set up your store and manage it once live. EKM is unusual in that it is a UK platform and also offers a free 14 day trial. You do have to provide debit or credit card details to access the trial. There are 3 plan options, basic, standard and advanced, starting at 29.99 + VAT a month for the basic option. At the basic level you are limited to 500 products and 1 user. Aside from removing these limitations to main difference to the higher level packages are that the basic package includes one evolution mode per 1, the standard includes 2 and the advanced provides for monthly evolution modes. Evolution mode is a review by EKM with suggestions for tweaks, fixes and improvements. EKM will make the suggested improvements at no further cost once approved on the standard and advanced plan. Getting started with EKM’s bulk upload option couldn’t be easier. Like many other platforms products are organised by categorised and you can create your own category structure. Inventory is automatically tracked and you will receive alerts from when levels reach re-order quantities. A selection of themes are provided and these are fully customisable and a logo builder is also provided. The EKM image builder will also help you create banners and graphics. You can also build your own theme, although this does require knowledge of HTML/CSS coding. Email marketing options are available within EKM so that you can keep customers informed of new products and offers and a loyalty points system is also provided. Live chat is a further option, but you do of course have to be available to respond, which might not always be practical if you are starting out small, possibly still fully employed until your store takes off. There are features that help to reduce abandoned carts such as cart savers and email targeting of customers that have left their cart incomplete. And if you are out of stock, auto customer notifications of re-stocking are a further option. Klarna checkout is included in your package with transaction fees for start ups of 2.49%. The big advantage of Klarna is that they take all the fraud risk (that is card fraud, not other type of fraud such as claiming that products haven’t been delivered when they actually have). There is also an option for customers to pay 14 days later, with no impact of your own cashflow and you receive funds in the normal timeframe (3 working days). Other payment options (more than 20) are also available. If you are also selling on Amazon or eBay EKM comes with an order management system that allows you to manage all of your orders in one place. With other e-commerce platforms you do get some functionality to manage orders on other platforms. For instance Shopify allows you to edit your Amazon listings and you can sync inventory, but not for Ebay sales (unless you ae in the USA or Canada). Alternatively there are other applications available like Expandly and Linnworks that will enable you to centralise orders and inventory across multiple platforms. You can add multiple delivery methods and configure charges for different locations and different shipping methods can be configured such that preferred options are only available to chosen order values. Default text for the Terms and Privacy pages is completed for you and a link to those webpages will be visible in the footer of your EKM online shop. You can of course customise this as appropriate for your business. Shopify offer a 14 day free trial. Once you have selected a theme you can start to customise it with text overlays, colours, typography, social media links, favicons (a small, iconic image that represents your website, often found in the address bar of your web browser, but also used in lists of bookmarks), and additional images. Within settings you can then access the choices of payment providers. The two main choices are Shopify payments powered by Stripe and Paypal (you can actually use both, they are not mutually exclusive). There is also an option to use Amazon Pay which allows your customers to make purchases using payment and shipping information stored in their Amazon account. There are also options to add payment providers (from a drop down list) that will take customers out of your store’s checkout to pay and you can also add manual payment methods such as providing your bank details for an internet banking payment. The next step will be set up shipping options (also within settings) and the first choice to make is how to charge for shipping. This can be free, and prices from some dropshippers include shipping. But even when you are being charged shipping by your dropshipper you can still build this into the price you charge which allows you to advertise free shipping and can give the customer a better, more transparent service. How many times have you proceeded to checkout only to abandon the order at the last minute when you finally discover the shipping charges that are added at the end? If you don’t have a domain name then your stores url will include myshopify.com and will spear as mystorename/myshopify.com rather than mystorename.com. To add a domain name, this is done in Online Store (not in settings!). There will be a fee for this, typically around £10-15 a year. Dropshippers such as Ali Express sell thousands of products, and it might be tempting to add them all, but you will need to be thinking about your target market and how you will reach them. Your marketing will be far more effective if you focus on a niche. Some products will offer ePacket delivery. This is a fast and economical shipping option from China to the UK and most of Europe. You and your customer will be able to track the package with a tracking number. And whilst Ali Express does try to keep patented items off its site you need to be mindful of this too. Remember the old adage “If it seems too good to be true, it probably is”. Sellers on Ali Express are also rated for reliability and you can test their responsiveness. To import your chosen products you will need a Shopify app from the app menu. The Oberlo app allows you to select products and add them to your store. You can search by product or by supplier. Initially you add products to your import list and then import them to your store. If you wish to import from AliExpress then you must first add the Oberlo – Aliexpress.com product importer from the Chrome web store. When you view products on Aliexpress you will then see an Oberlo icon if you hover over a product, which you can click to add the product to Oberlo. It will then appear on your Oberlo import list. Oberlo will also add a green surround to each product if it is available for ePacket shipping. For each product you will be able review its cost, shipping cost, seller’s feedback score. Within Oberlo, having imported your products, you can change their description, select variants you want to import and set your selling price. Your products will then appear in your products list in Shopify, where they can be edited further if required. You can also view how the product will look in your store. There are two possible scenarios as regards returns – firstly when the product is damaged, incomplete, wrong for which you can open a dispute with your dropseller. That should result in a refund to you from your dropshipper and you can refund your customer. But secondly your customer may simply not like the product. If you allow a return for this reason then the customer is going to return the item to you. Ordering a sample for yourself beforehand will give you a better idea of quality and may help you market the product because you can describe it from first hand experience. Having got your first order you now of course need to fulfil it. If you have used Oblero you can use the “Order Product” button to semi-automatically order the product. It is not automatic because you have having to go into Oberlo and click this button. The order does not flow through your store straight to Ali Express. If you are not using dropshipping much of the above will be the same, except of course you won’t be adding products from Oblero, but adding your own products. The main difference here is that you will also need quality images to upload to Shopify. Magento will give you more control over the look, content and functionality of your online store because it is open source. Open source software enables the user to make changes for any purpose. But that flexibility of course requires a degree of technical ability that is not required using other platforms. The Magento small business solution aims to partner you with a certified partner that will offer express packages to help you go live quickly and easily. As you are not restricted to a standard set of templates for your store you can provide a more innovative, differentiated experience for your customers. But if you are a start up with limited funding, have a new product or service and are wanting to test the waters, Magento probably isn’t the option to develop your first store. You can have more than one website within the one Magento account, although Magento would refer to a website as a site that shares a customer database and payment methods. The sites themselves will look and appear to be separate to the outside world (albeit with a similar look and feel). There are many design options in Magento and you initially start with a main website, a default store and store view, but you can create additional websites, stores and store views. 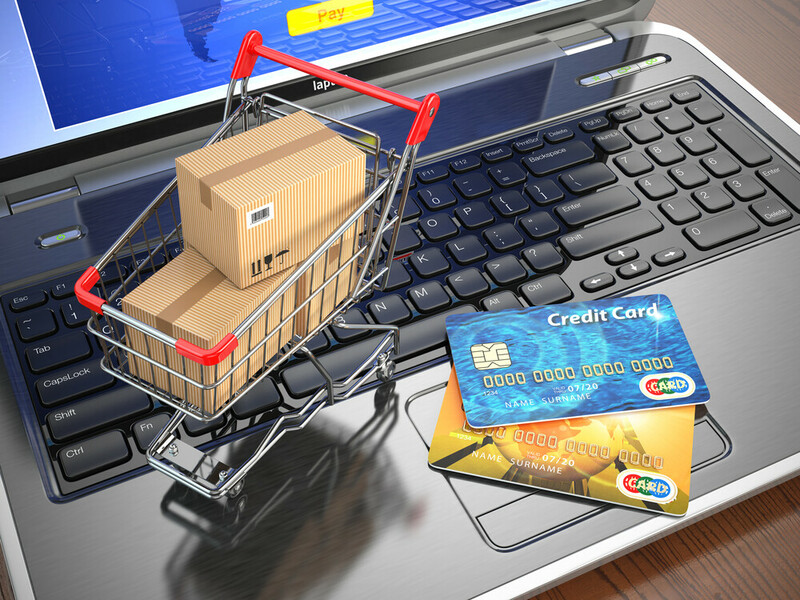 Stores will share the same cart, shipping methods and payment gateways. You might have separate stores for instance for men and womens clothing. These will be separate sites which your customers visit. The actual website is the “parent of the store” and contains no products or categories, just customers. Store views are typically used to create the same store in different languages. The Store Admin area in Magento is where you set up products, promotions, manage orders and other administrative tasks. Products and categories are set up within the Catalogue Menu. Categories in Magento are, as you might expect, simply products that share certain characteristics or attributes. Although you can add categories “on the fly” while creating a product, you would normally create your category structure first. Every product must be assigned to at least one category. Getting your categories right will impact upon your customer experience. It will affect which products are shown on the same page. For example if “shirts” are a parent category then shirts for mixed gender and age groups might appear on a search, whilst you might want narrower results to appeal to a specific customer. “Shirts” might therefore be a sub category of Menswear, Womenswear and Childrenswear. Magento includes a content management system that allows you to create custom pages that can placed almost anywhere in your store. You can add images and videos to educate, inspire or entertain. This allows you to provide information to your customers and helps to distinguish your store from others. It can also increase your visibility to search engines and provides support to your customers. There are tools to help you create pages that can incorporated into the navigation of your store, static blocks that can be assigned to part of the page layout, widgets which enable content to be placed at specific reference points in your store which are real time and dynamic (e.g. for promotional content), and polls to help you learn about your customers’ opinions and preferences. You now have a store with products, all you need to do now is start selling! You need to start driving traffic to your store. But why should customers by your product and why should they buy it from you? You need to know the answer to that question in order to be able to effectively target your potential customers. If you are using dropshipping then selling on price isn’t likely to work in the long run. You will be selling products that are easily accessible to other sellers (remember we have discussed how easy it is to set up an online store using dropshipping) and you can be sure that if you simply undercut the market and promote your website on that basis then someone will be selling the same product cheaper than you very soon. Many of the products that you can obtain from dropshippers will also be found on Amazon and Ebay. For this reason it is important to build a brand on your store and include as much helpful information for your customers as you can. You can also sell your products through Facebook and Instagram by adding sales channels within some e-commerce platforms. Simply creating a store and adding dropshipped products is not going to magically result in a flood of sales. Pay-per-click Advertising (PPC): Effective PPC campaigns drive users with intent to purchase. Businesses bid on impressions for paid listings at the top of search engine results, paying on a per-click basis. Impressions are determined by user search query, with strategy revolving around which keyword bids yield the highest ROI. The cost per click will vary between keywords, with popular keywords being more expensive. It is very easy to spend a lot of money on PPC, but you can set limits to avoid costs running away. Search Engine Optimization (SEO): Unlike PPC, SEO traffic comes from unpaid “organic” results on search engines such as Google and Bing. Successful SEO requires adherence to best practices on a product page level in conjunction with content creation, inbound links, social media engagement, and many other factors that search engine algorithms (which can change) take into consideration. Click throughs from organic search results won’t cost you anything, but your budget will most likely to spent on specialist SEO providers who will manage your SEO project for you. Display Advertising: Banners, sidebars and other predominantly-visual advertisements that appear on other websites. Display ads are facilitated by ad networks such as Google Display Network and your ads van be targeted to appear on relevant sites. Social Media sites like Facebook and Instagram allow you to create targeted campaigns that will drive traffic to your website. Affiliate Marketing: Referrals from other websites with industry or product-focused content such as reviews, comparisons, and testimonials. Successful affiliates have a loyal following or receive traffic from some of the above channels. They typically receive a set commission of referred sales, often determined on a case-by-case basis. An affiliate promotes one or multiple affiliate products and tries to attract and convince potential customers of the value of the merchant’s productso that they actually end up buying it. Email Marketing: Newsletters, abandoned cart notificationsand remarketing all use email to target past and potential customers. Features – does your product have features others don’t have? Feeling – does your product or store make your customers feel emotional in some way? Uniqueness – is your product weird, different, or novel?